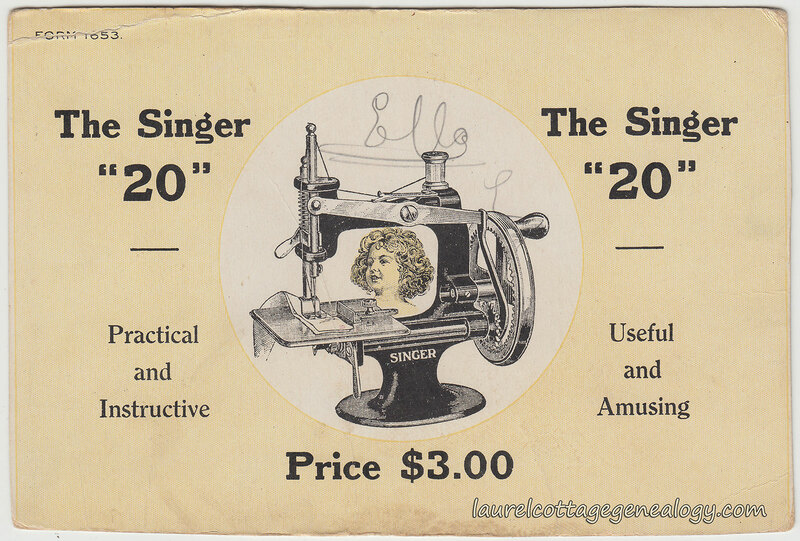 The back shows: “The Singer ’20’ Practical and Instructive. Useful and Amusing. Price $3.00” and an illustration of the machine with a girl’s face in the center. Here are two excellent websites regarding this model: Alex I. Askaroff’s, The Sewalot Site and ISMACS International. According to Alex Askaroff, the Singer 20 was made at the Elizabeth factory in New Jersey, starting around 1910. It was first billed as a toy, but those in charge must have quickly realized the value of marketing for adults as well. (See the second link for the illustration of the machine fitting in the palm of the hand.) Later called the Sewhandy, production ran all the way until the 1970s, with some changes along the way, of course. The original name came from it’s being the 20th unique machine after Isaac Singer’s very first model No.1 (awarded patent No.1 in 1851). 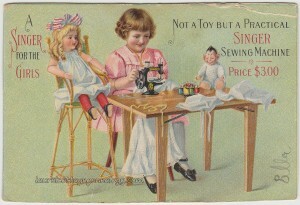 The Singer 20 was the most popular of any toy sewing machine, came in different colors, was copied by other manufacturers after patents ran out, sold worldwide and manufactured in other countries. 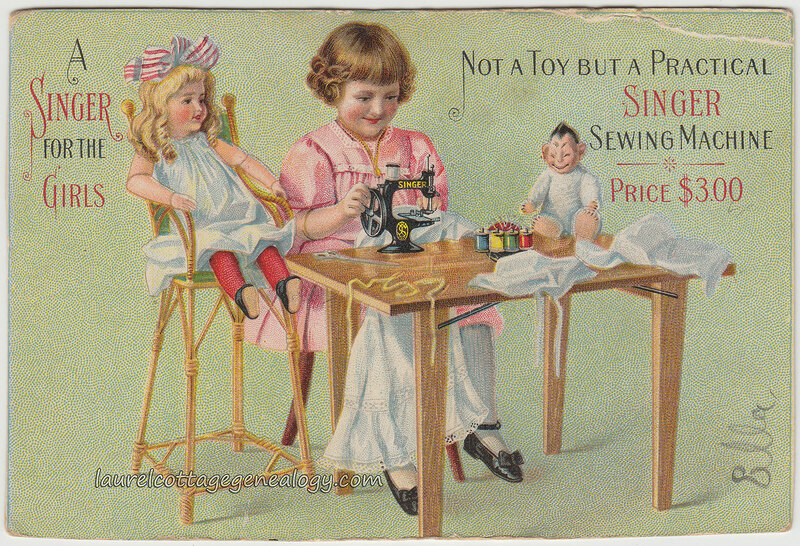 This particular trade card is said to be pre-WWI. Sources: Askaroff, Alex I., “Singer Toy Sewing Machine.” Sewalot. Web accessed May 17, 2015. “Singer No. 20.” ISMACS International. Web accessed May 17, 2015.